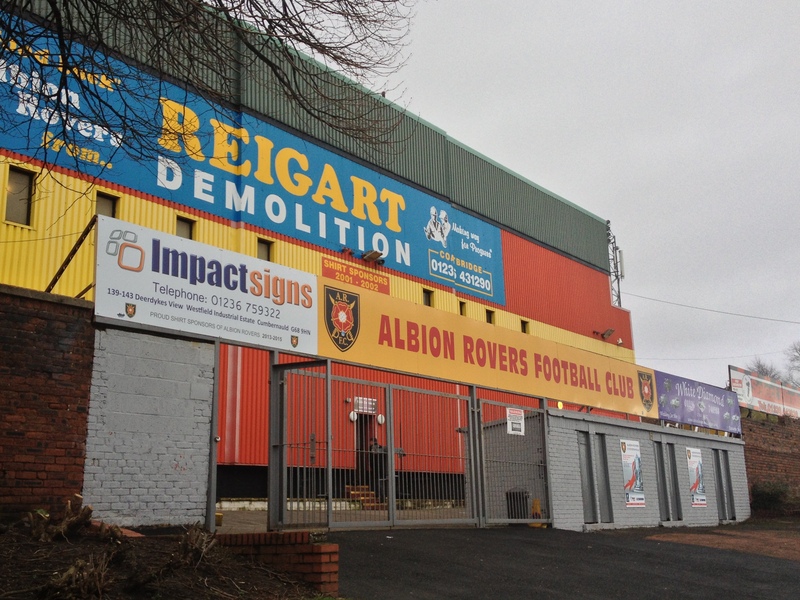 The small North Lanarkshire town of Coatbridge just outside of Glasgow’s city limits has had Albion Rovers as a Scottish League club in continuous membership since 1919, although they first gained election in 1903. 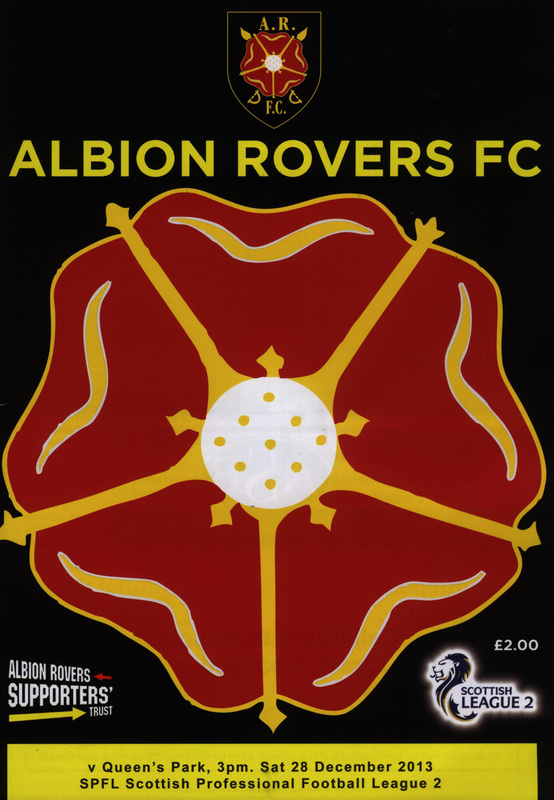 The “Wee Rovers” or more recently shortened to just “The Vers” were formed in 1882 from a merger of Albion and Rovers, and despite that long history have enjoyed very few days in the sun. Their undoubted greatest day came in 1920 when the club reached the final of the Scottish Cup. The Wee Rovers bested mighty Rangers in a semi final that went to a second replay, but succumbed bravely in the final to Kilmarnock. An incredible crowd of 95,600 witnessed the final at Hampden which Killie won by three goals to two. 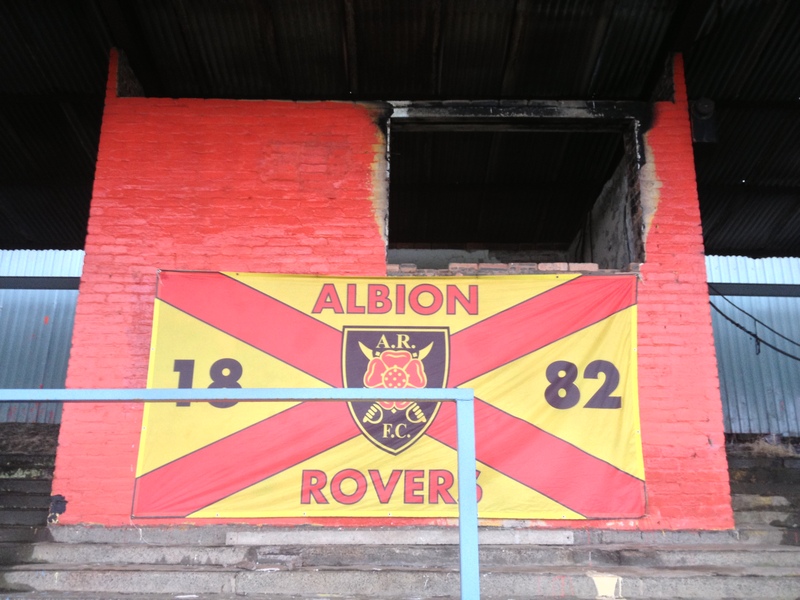 Only a few months prior to that final Albion had moved into Cliftonhill Stadium on Christmas Day 1919. 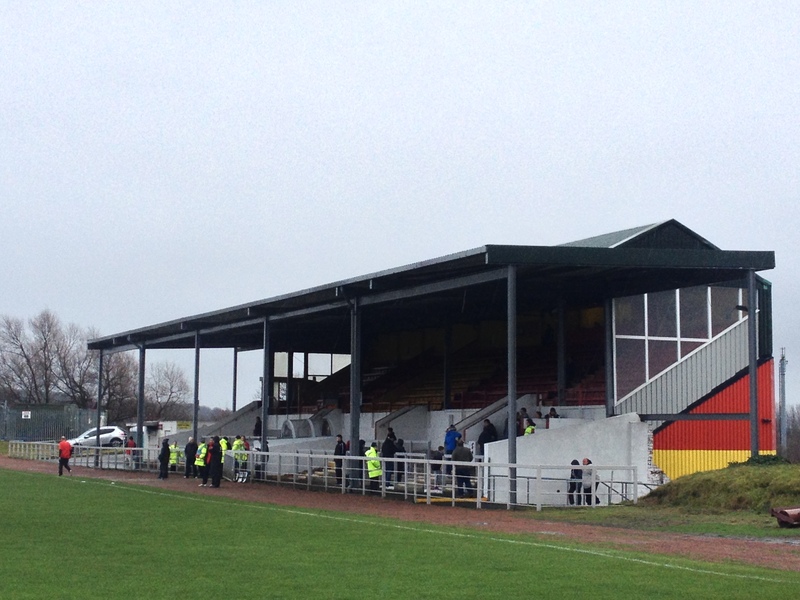 The stadium is on the Main Road in Coatbridge. Nowadays only the main stand and paddock are used for most matches giving a capacity of just over 1,200. The old stand was augmented by a canopy for the paddock in 1994 which, while offering additional covered accommodation, hinders sightlines further from the wooden seats which already had several load bearing pillars obstructing the view. Given the dereliction of the covered terrace opposite it seems scarcely conceivable that in February 1936 27,500 people were somehow shoehorned into Cliftonhill for a Scottish Cup tie with Rangers. 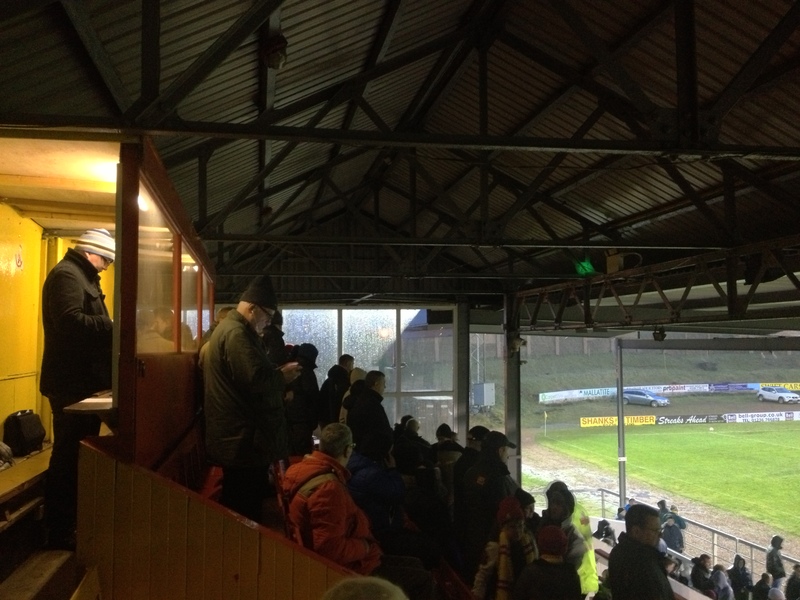 Even this seasons 2,950 crowd against Motherwell could not be housed at Cliftonhill, the tie being switched to Hamilton’s New Douglas Park. 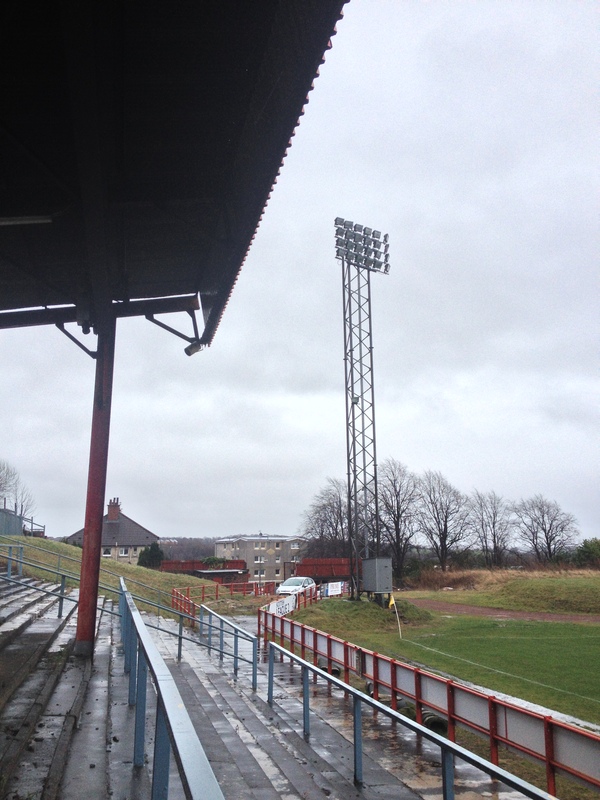 The 1994 stand extension was a precursor to turbulent times for the club, the board had voted to move away from Cliftonhill and groundshare with Airdrieonians. 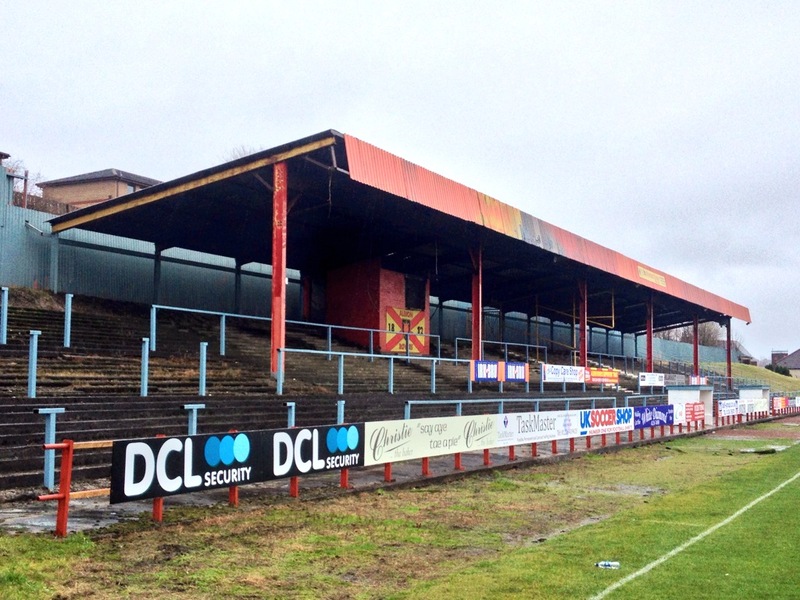 The fans of the Wee Rovers mobilised and eventually ousted the incumbent board, voting to remain at their beloved Cliftonhill. 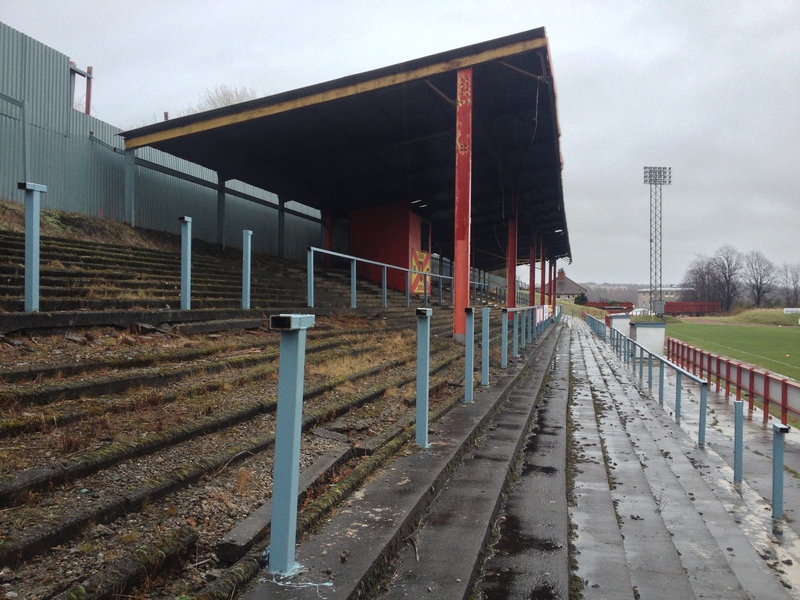 Floodlights had come to Cliftonhill in 1968 but the current system was acquired from Cardiff Arms Park when that stadium was cleared to make way for the Millennium Stadium. Today’s match had a fairly even opening half with the visitors marginally on top. The closest the Spiders came to opening the score came when a Ross Fisher header crashed against the crossbar. The visitors were still in the ascendancy when Liam Cusack capitalised on some poor defending to open the scoring moments before the break. It was the Vers that dominated the second half and it was no surprise when they doubled their lead on 69 minutes, Chaplain bursting clear of a square defence and slotting past the keeper with some aplomb. The visitors gave Albion some nervy final minutes when a fired in free kick from Fisher was haplessly headed into his own net by Micky Dunlop. An equaliser did not, however, materialise and as the unrelenting rain battered the leaky old stand roof it was the Wee Rovers that trudged off the muddy field deserving victors. Cliftonhill is undoubtedly in a state of considerable dereliction, but it has character in every pore and crumbling terrace block. I’m sure the 500 odd that gather for most home matches would not have it any other way. 1. Neil Parry, 2. Alan Reid, 3. Ross Dunlop, 4. Barry Russell, 5. Ciaran Donnelly (c), 6. Michael Dunlop, 7. Liam Cusack, 8. Scott Chaplain, 9. Mark McGuigan, 10. Christopher Dallas, 11. Gary Phillips. 1. Lucas Birnstingl, 2. Ross Fisher, 3. Bernard Coll, 4. James Brough, 5. Scott Gibson, 6. Michael Keenan (c), 7. Blair Spittal, 8. Gavin Mitchell, 9. João Periera Vitoria, 10. Liam Gormley, 11. Paul Gallacher. Subs: 12. Conor McVey (for 8,75 mins), 14. Ricky Lamie, 15. Thomas Collins (for 11,80 mins), 16. Lee Davison (for 9,88 mins), 17. Shaun Rooney, 18. James Baty, 20. Blair Lochhead. Here is a gentle stroll around some small but undeniably lovely grounds, lesser luminaries if you will, that prove to be rather marvelous places to watch a match. Bedale have played in the Teeside League in recent years but now ply their trade in local football. 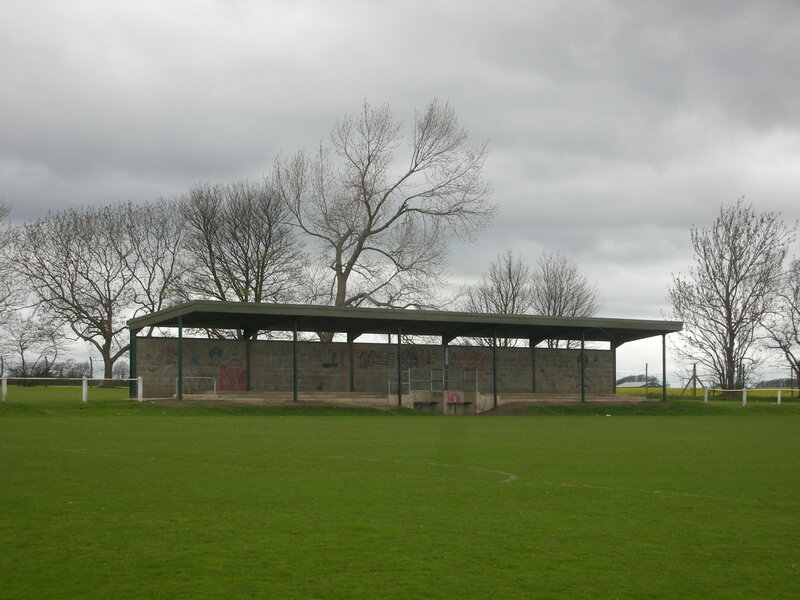 Their ground lies on the Leyburn Road just out of town, and boasts this small but perfectly formed pitched roof stand. The earliest traces of a Boroughbridge AFC date to 1900 competing for many years in the Ripon League and the Harrogate and District League. 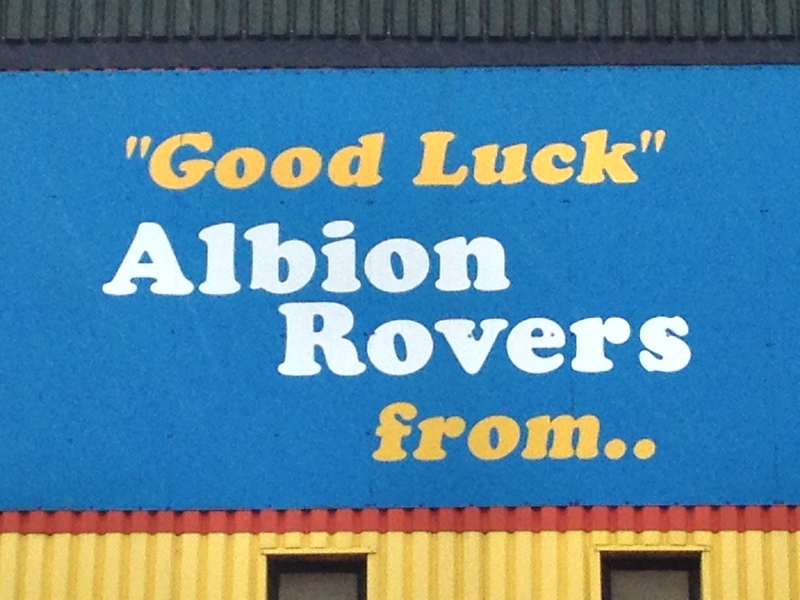 They currently play in the top division of the West Yorkshire League. Their home ground is on the outskirts of this historic market town and boasts a really first class pitch. Sadly Snowdown are currently in a period of abeyance having left the Kent County League a couple of season ago. 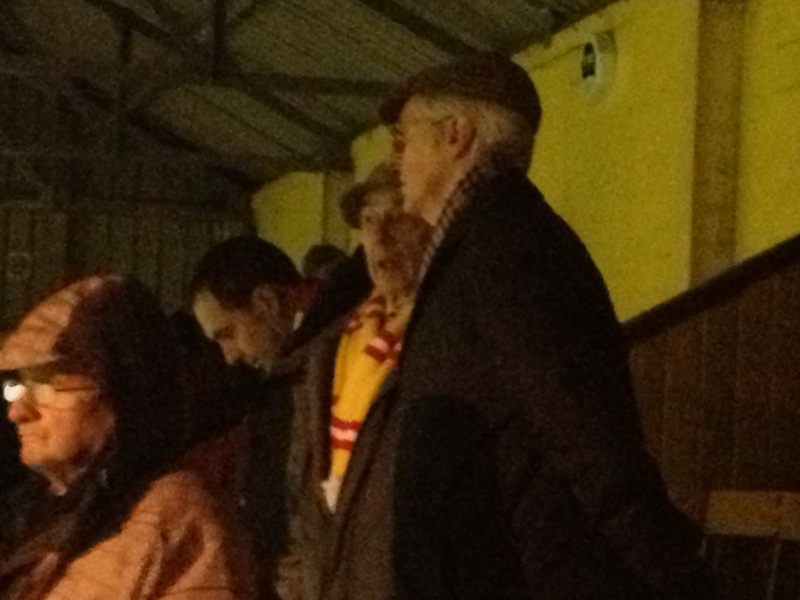 Former members of the Kent League and Aetolian Leagues, the club were FA Cup entrants until as recently as 1979. The ground currently has a reduced sized stand but remnants remain of the extensive terracing that once surrounded the ground. This area of Kent was once a haven for coal colliery football grounds, Tilmanstone, Betteshanger and Chislet collieries all having decent standard facilities. 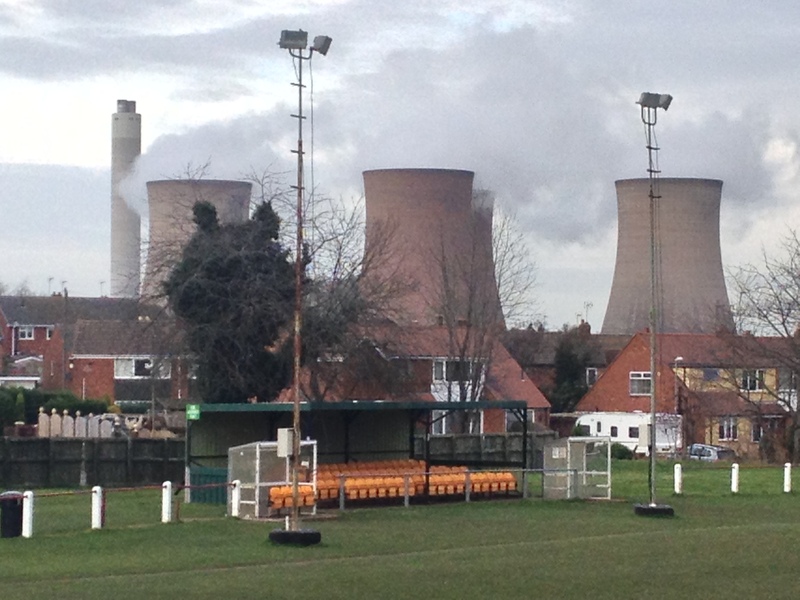 As industrial backdrops go, Brereton Social’s Red Lion ground has one of the finest, with Rugeley power station forming a dominant skyline to their humble little stand. Formed in 1899 the club has had spells in the West Midlands (Regional) League but in recent seasons have dropped through the Midland Combination and are now well down the divisions in the Staffs County League. 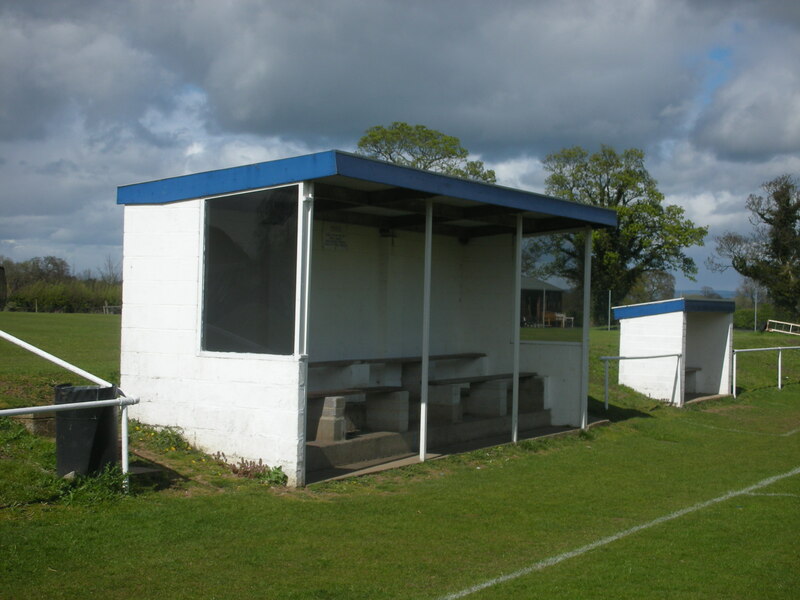 Midland Combination side Rugeley Rangers also share the Red Lion Ground’s decent facilities. 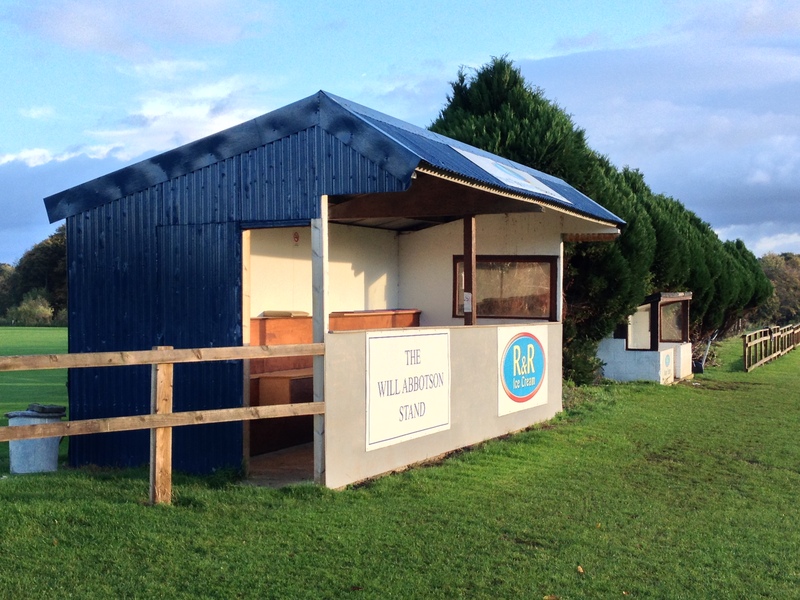 Former members of the Eastern Counties League until 2000, Watton United have fallen on hard times recently, dropping into the Anglian Combination. In the past close season the club asked for voluntary demotion to Division Five to allow them to rebuild. 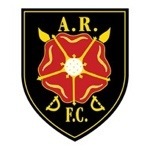 The club were formed as long ago as 1893 and were originally called RAF Watton. 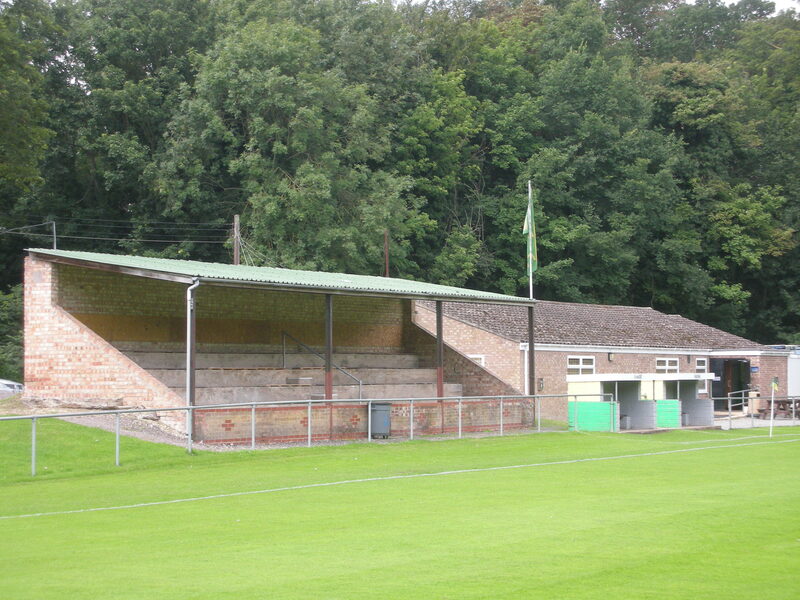 With floodlights and two wooden stands, the ground is well up to a more senior level of football. 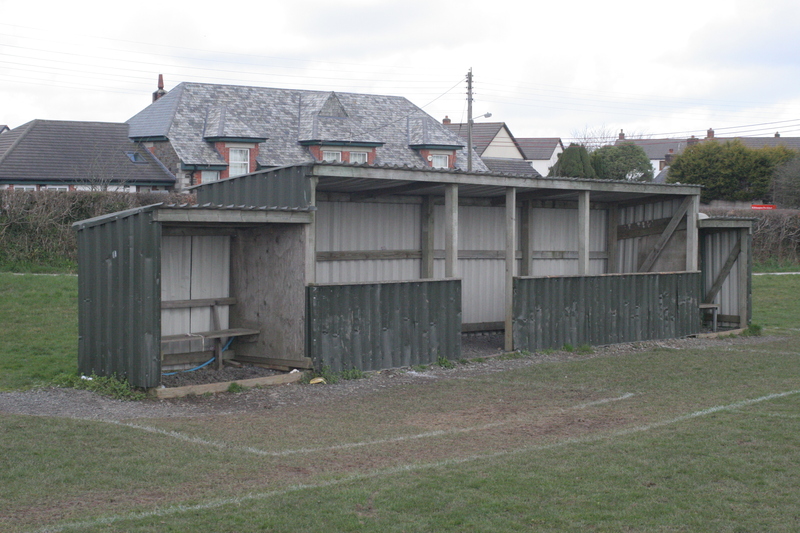 Penybont play well down the Welsh football pyramid but their ground is a real beauty. The racecourse ground is used every August for trotting, an activity that has not uncommonly seen crowds in excess of 1,000 to this remote Powys village. The grandstand is slightly at angle from the pitch but it is unexpectedly commodious. 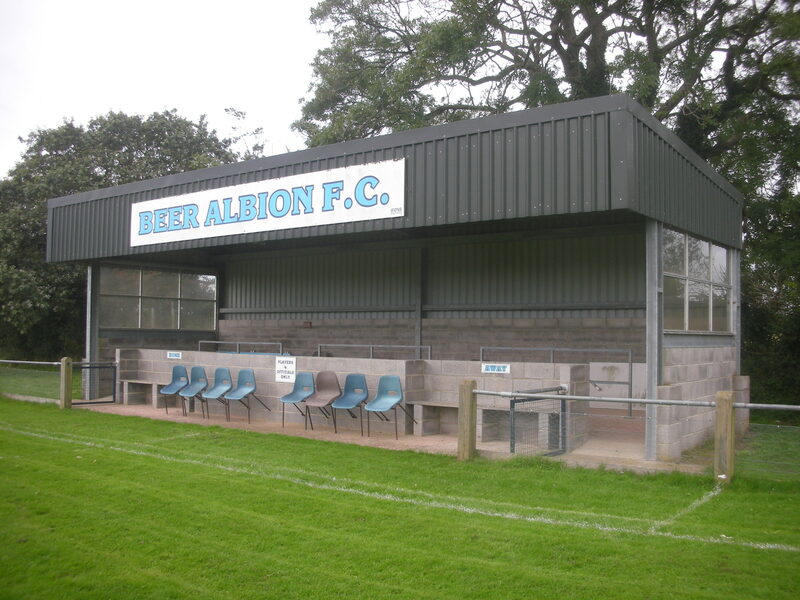 Beer Albion were formed in 1919 and joined the Perry Street League. They played their games at the time on a field called the White Cliff. In the late 1930’s the move was made to the current ground in Stovar Long Lane. The club progressed to the Devon and Exeter League for the 1952/53 season. The current stand replaced a rickety old shelter that somehow managed to stay erect despite the exposed location of the ground. Formed in 1907 the football club played its games at the Glebe, which was shared with the village cricket club. For 35 years from 1952 the club played on a field in Mundford Road before returning the Glebe in 1988. A separate pitch was set up adjacent to the cricket field and was enclosed with a railings. A smart brick build stand was also erected and while floodlight pylons have gone up in recent years, lights have yet to be attached to them. The Black Dogs were formed in 1925 and played at the Recreation Ground in the small Suffolk town until 1953. The current ground at Maltings Meadows is actually within the Norfolk boundary in the neighbouring village of Ditchingham. The first match at the new ground in August 1953 saw 300 people witness the official opening and a match against Eastern Coachworks from Lowestoft. While the ground has wonderful facilities, sadly the eye catching backdrop of the old malting house is no more having been largely cleared for a housing development. 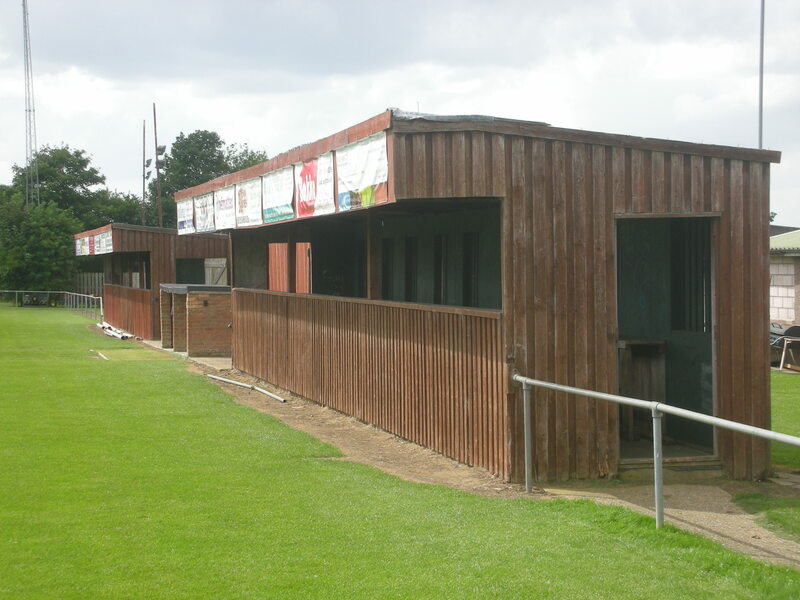 The Swifts benefited from the brief haitus of the areas major club, Wisbech Town, to Outwell. 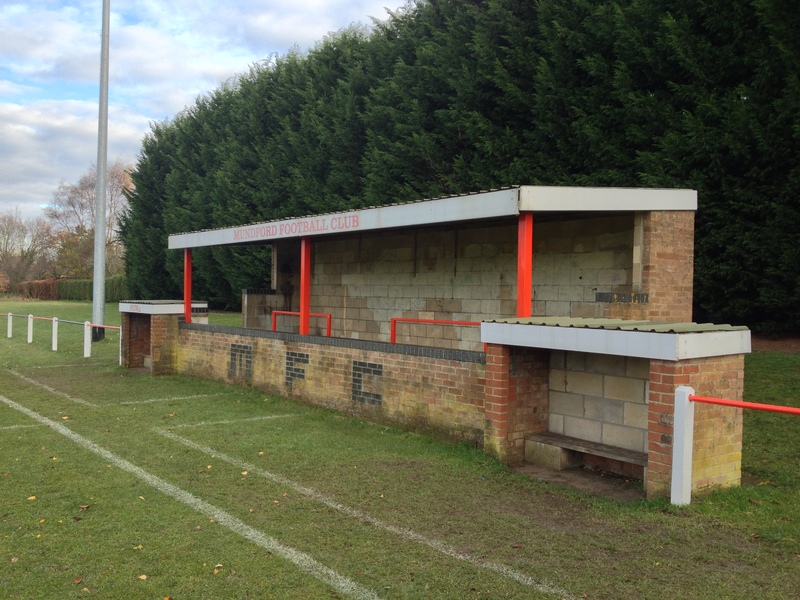 Town had left their legendary ground at Fenland Park and needed refuge until their new ground was ready. 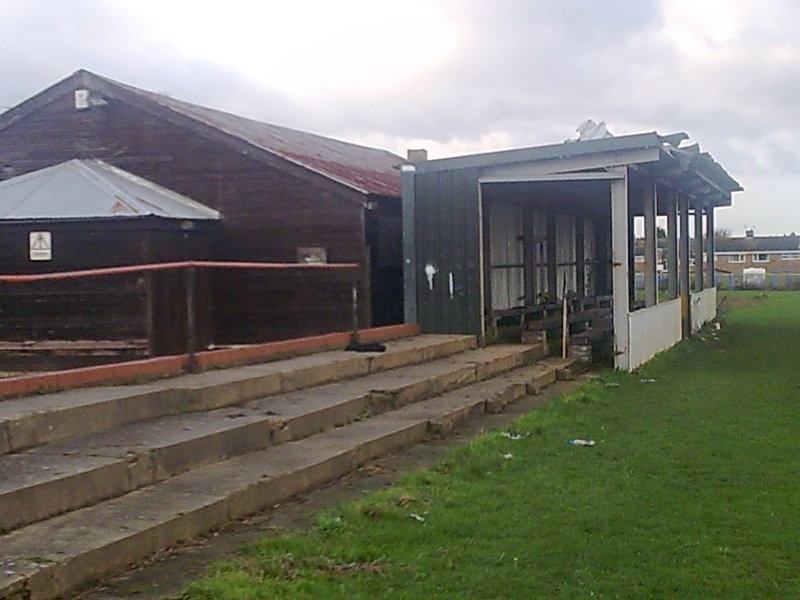 The Nest was done up with several stands installed, all but this one were removed to the new ground, and floodlights were also erected. 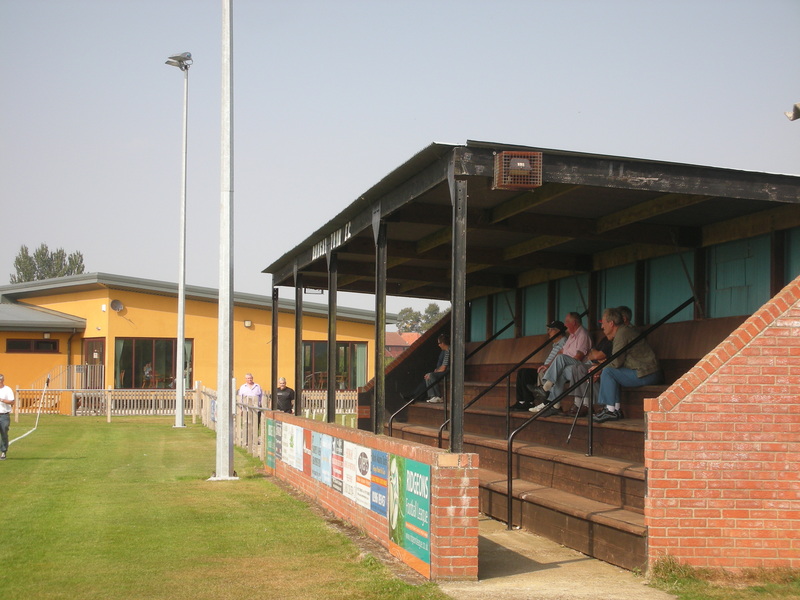 Although scant records exist, Lakenheath were first recorded as a competitive club in 1907 and since the early days have competed variously in the Ouse Valley League, the Mildenhall and District League and the Essex and Suffolk Border League. They have been highly successful in recent seasons in the Cambridgeshire County League. Their lovely home at The Nest lies in a verdant hollow and is a wonderful place to watch a game of football. Brook Motors, the company, were formed in 1904 and became the largest manufacturer of alternating current electric motors. In their heyday they had ten factories in the Huddersfield area and employed over 2,000 people. 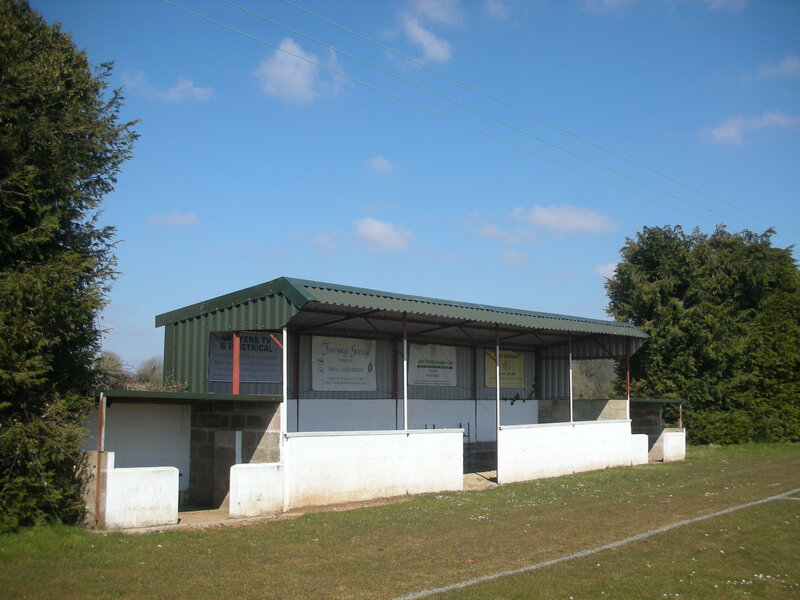 The football club were formed in 1939 and have played at this well appointed ground in Jagger Lane for several decades. 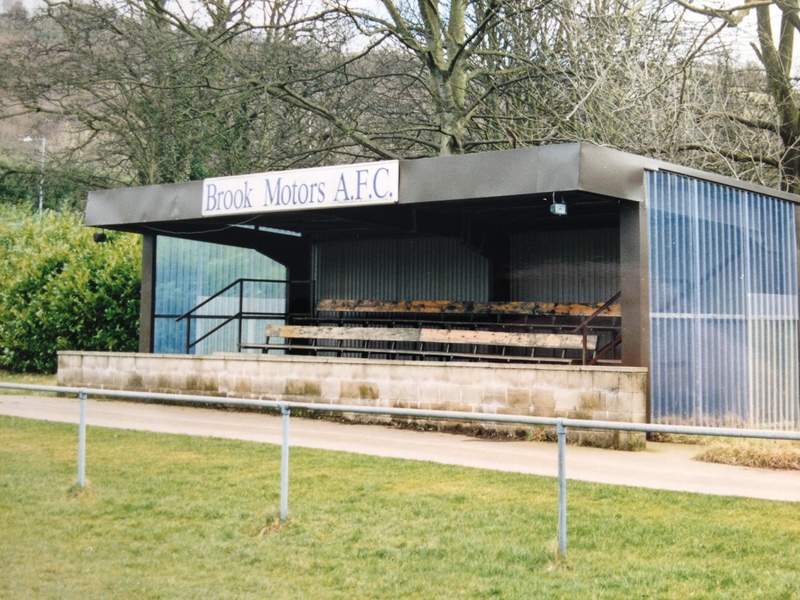 Chagford graced the Devon County League for several seasons until they finished bottom of the table in 1994/95. They joined the South Devon League but now find themselves well down the divisions in the Devon & Exter League. 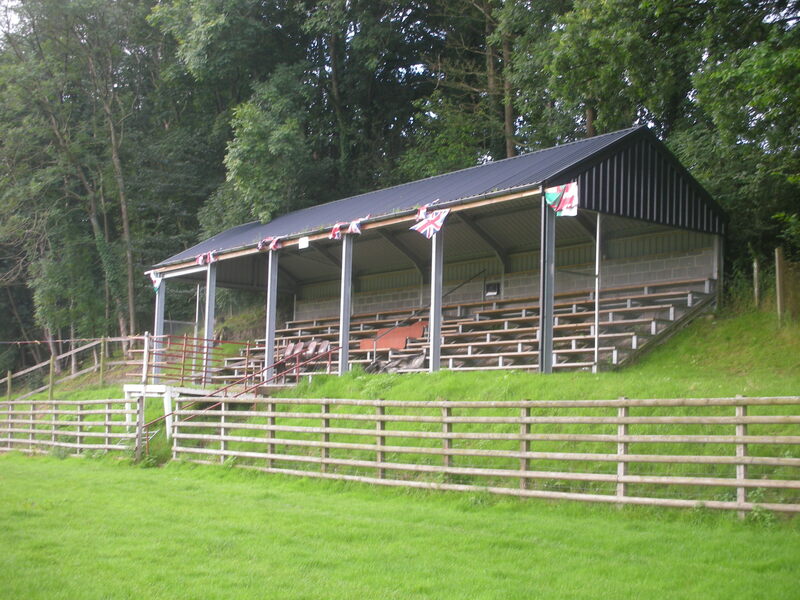 Their War Memorial Ground boasts unrivalled views of the edge of the Dartmoor National Park and is a real undiscovered jewel of Devonian football. Sitting in the centre of the village the club have really progressed in recent years. The ground has this covered enclosure plus a stunning wooden clubhouse which opened in 2009. A club to watch in the future. 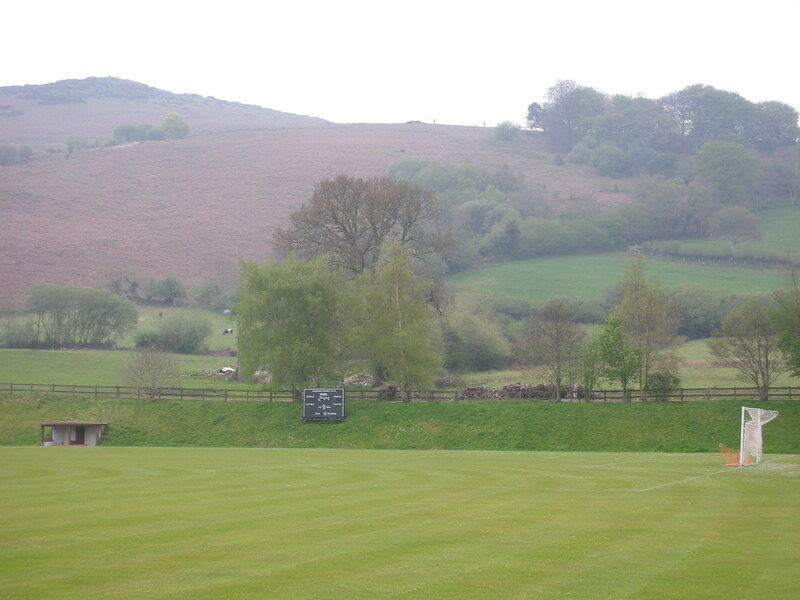 Chalford can date their formation back to 1891 and have always played on pitches around this hilly village. This fine stand completes a homely rural venue which boast stunning vistas of the Frome Valley. Mickelfield AFC were formed in 1953 and enjoyed a golden era in the 1970’s and 1980’s when they won a slew of amateur leagues and cup finals. 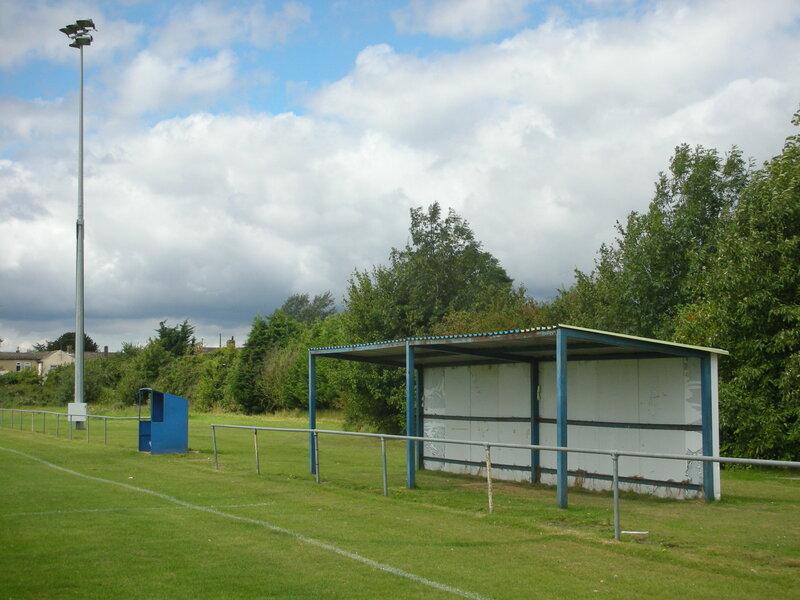 However, the club sadly folded in 2004 citing lack of support so it was no surprise that Garforth Rangers, themselves formed in 1996, took over the excellent facilities at the Recreation Ground.